Pricing plays one of the main roles in leading visitors to buying or ordering something. App by Elfsight not only allows customers of the site to examine and analyze multiple price options very quickly. It also contributes to boosting conversion due to having the latest trends of interface and modelling. Take sales of your website to another height, with the help of an effective pricing. 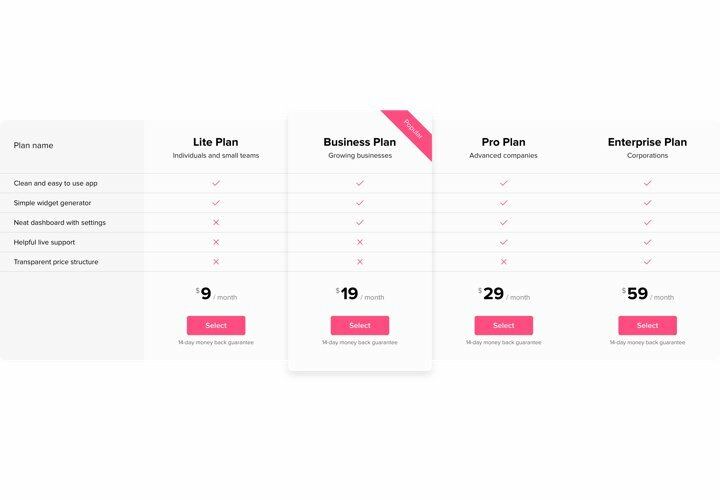 Engage all the powerful tools of the design, to crash any misconceptions and doubts your customer while making their steps to buy from your site – and achieve the maximum conversion. Due to a great number of options that allow creating diverse pricings in a couple of minutes, you will get the one that is highly effective for your website. Write more about your offers. 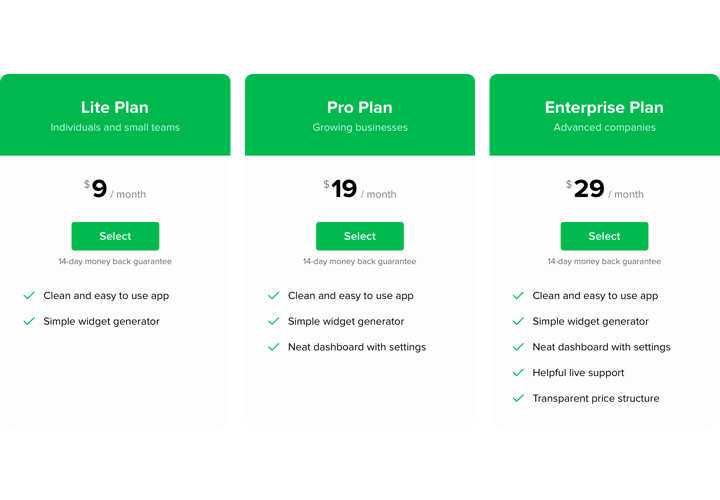 Tell more about each of your pricing plans and display them via a custom-made app, so that users could quickly examine and analyze your plans. 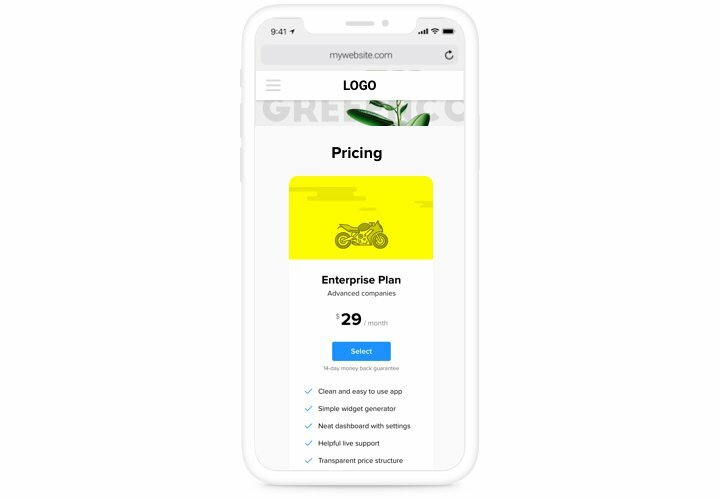 The advantages that transform our app into the best pricing table for Shopify websites. A tutorial on setting up of app. To fulfill it, you don’t need experience in programming or much time. Take 3 easy steps that will take 1 minute of your time. Choose «Get» button, to install the app into a Shopify site. 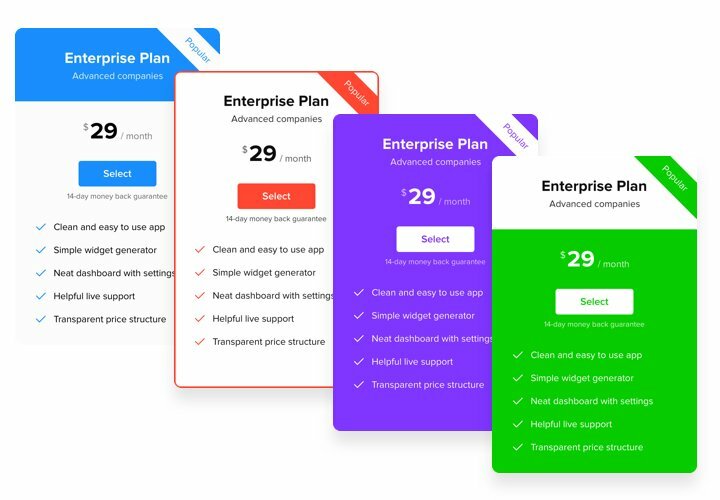 Define the parameters of the app: Pricing text and configurations of the design. Copy the widget code. Embed the app to the page. Enter «Pages» tab and choose the page to place the app. After that, put the code in HTML mode and save the changes. Go to Shopify website, to view your results! Experiencing queries with installation of the app? 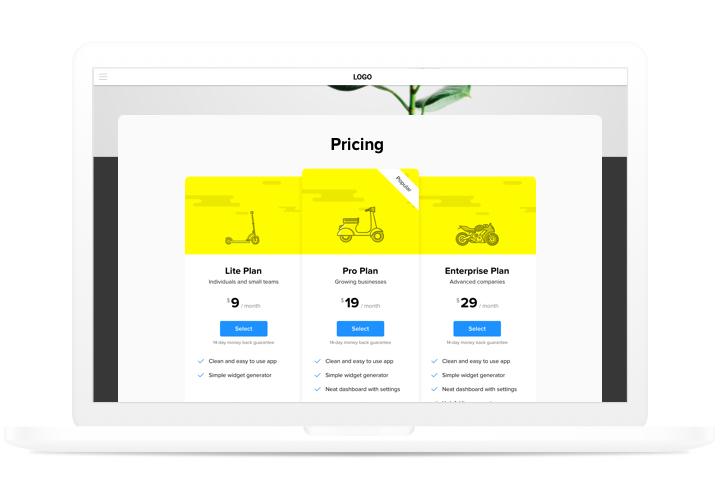 Read our extensive manual «How to insert pricing table into a Shopify» or get in touch with our support team, which will solve any kind of issues quickly. 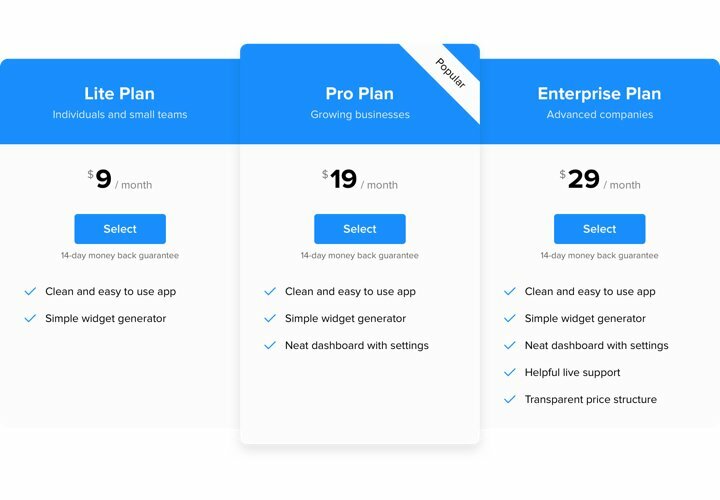 Generate the best Shopify Pricing table app in only 1 minute!